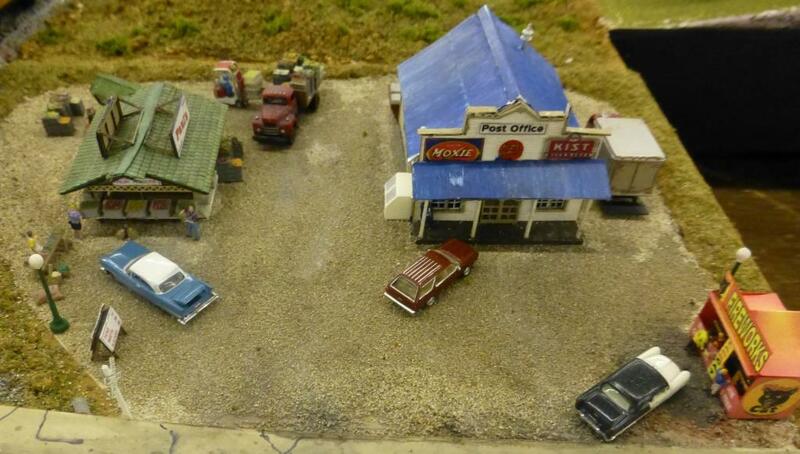 Description: This is a junction module depicting a rural shopping center in the mid 1950's. 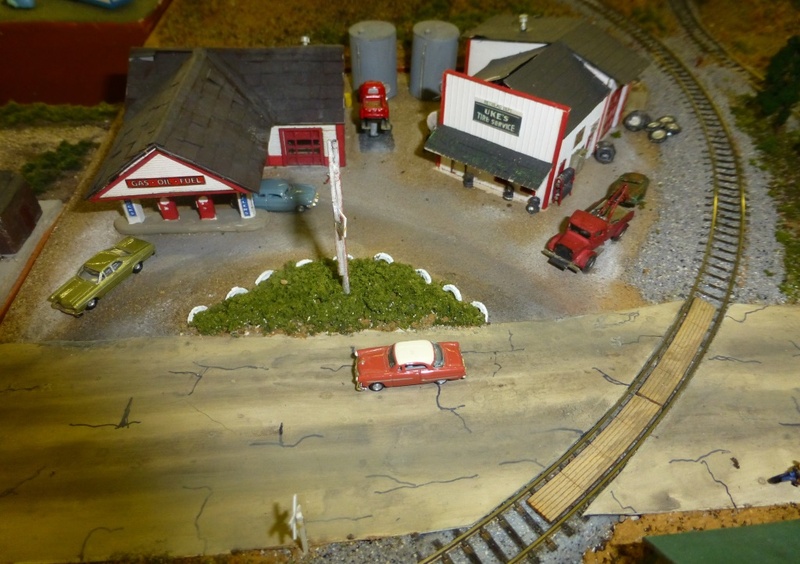 The country gas station, fruit stand, post office/general store, firecracker stand and track maintenance facility all share a small patch of road, while the track serves as a means of isolating the individual small scenes. 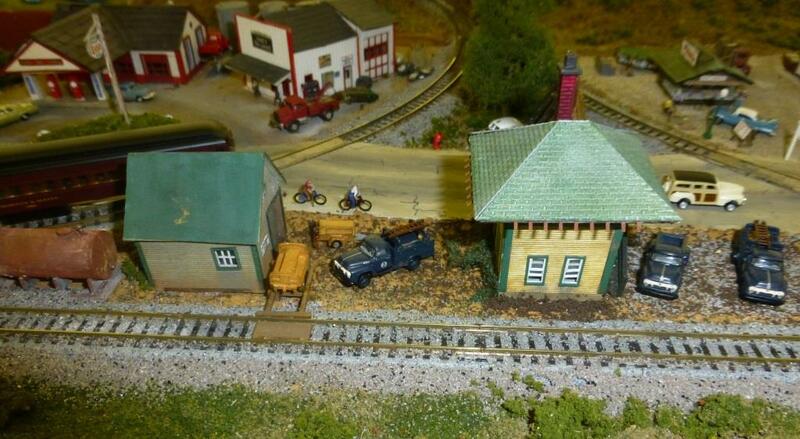 By using a lot of small buildings, the scenery works within the various track segments.